a seriously close-up view of space. 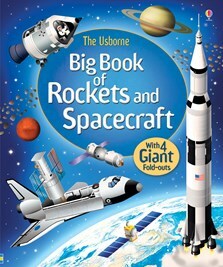 Space is inspirational for children, and this book exquisitely details how we got there, how we get there now and how we might get there and explore space and our surrounding planets in more detail in the future. You owe it to yourself as a space cadet to go and pick up a copy as soon as you can!